Tips for the types of animals you can hope to spot in each. The best times of the year to travel to each one. 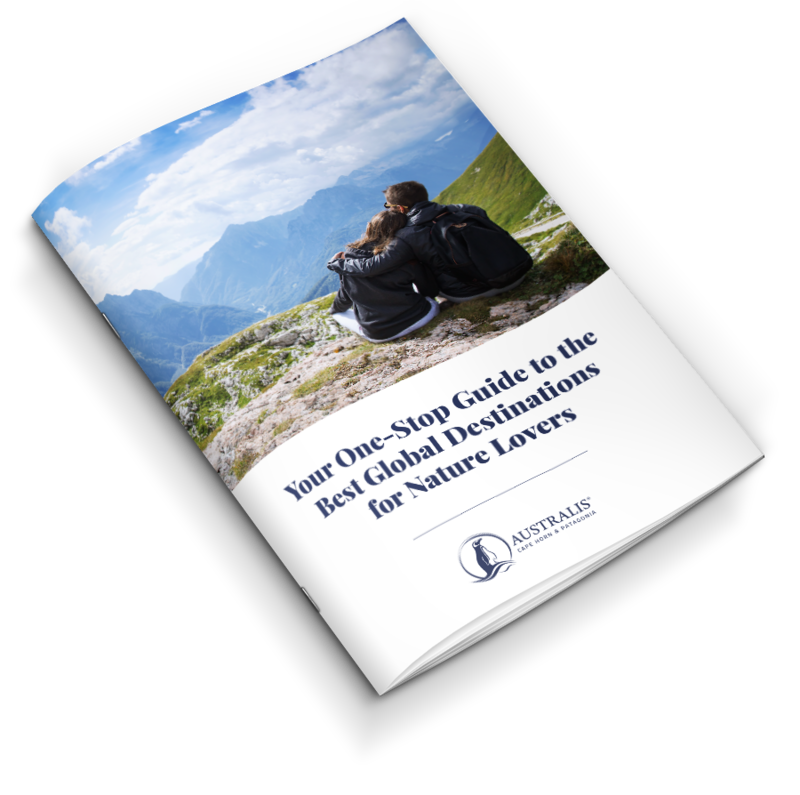 Practical considerations for organizing a trip to a region rich in wildlife. 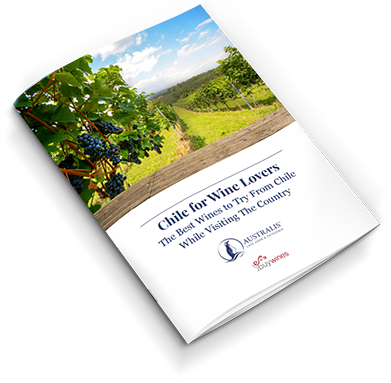 12 Unmissable Highlights of the Southern Cone. 5 alternatives for Two-Week Travel Itineraries. Advice about staying safe while traveling. Who discovered Cape Horn on January 29, 1616. How Darwin avoided almost certain death in the waters surrounding Cape Horn. What attractions are found on the island, including information about the poignant Cape Horn Monument. 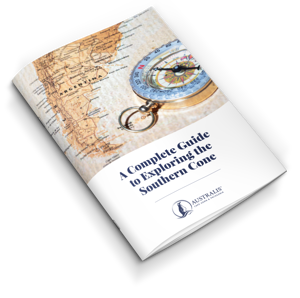 Which itineraries are available for sailing to Cape Horn. What to bring on a cruise and how to prepare for the region’s turbulent weather conditions. 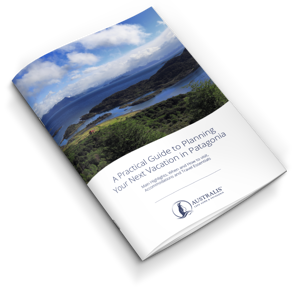 Looking to plan your once-in-a-lifetime vacation to Patagonia? Ideal time for visiting the region. Accommodation and the best online sites for making your reservations. How to travel around this vast region. The essential gear to pack for your Patagonian vacation. 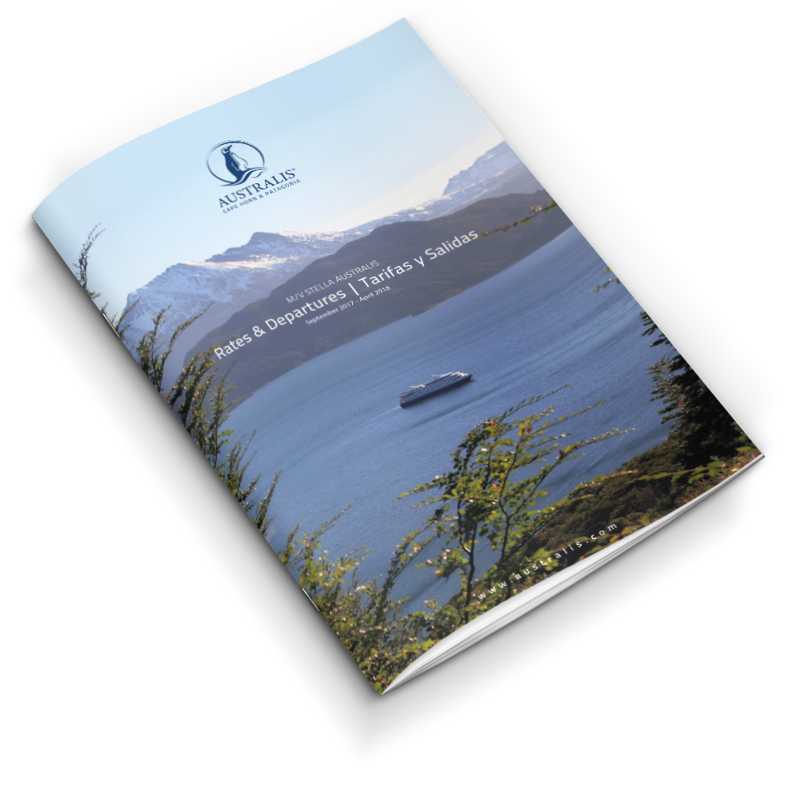 Our brochure gives you a useful tool for learning about the different attractions that we provide, routes, cuisine, and the appropriate attire during your visit to Patagonia. The extraordinary landscape and fascinating wildlife you can see when you travel with us. 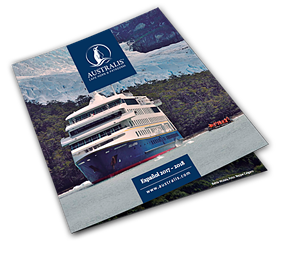 Discover al the different itineraries and routes that Australis Cruises offer. Meet the multidisciplinary experts that will be on your Expedition Team. 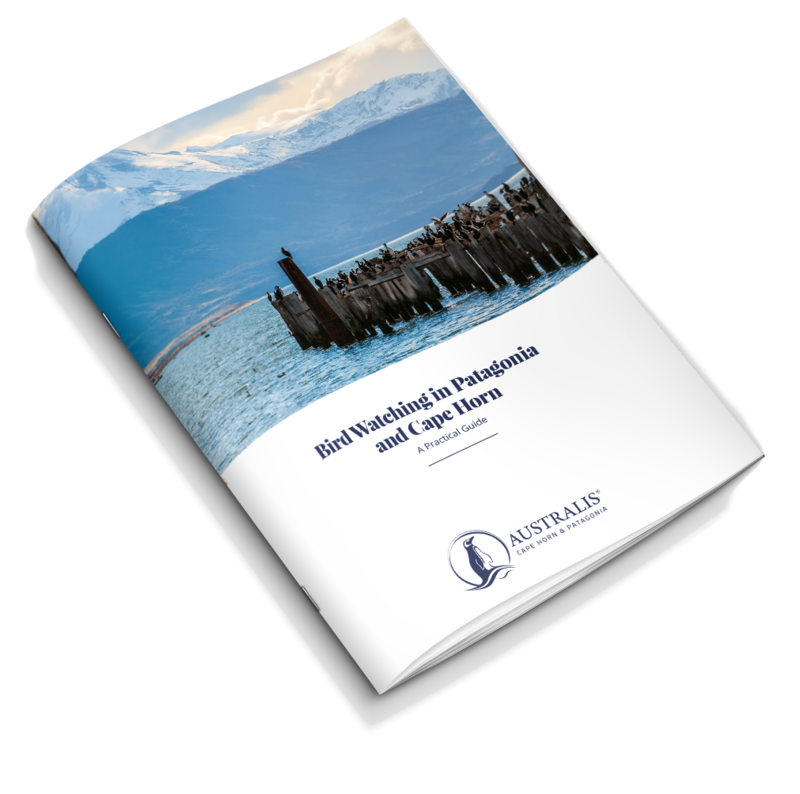 Discover how is life onboard Australis Cruises. Departure days for each of our routes. Region’s most typical – and unusual – species. Peak Seasons for Bird Watching. If you and your partner are looking for something truly unique, look no further. We have gathered together four of the ultimate vacation experiences for couples, and we are confident that you’ll find some inspiration here. A cruise to the end of the earth? A close encounter with the ocean’s greatest predator? A weird and wonderful wildlife that inspired Charles Darwin’s Theory of Evolution? A candlelit dinner at centuries-old wine castles?